What do a bicycle and a duck have in common? For the rebellious, for the contrarian, for the playful adolescent punk, absurdism is an appealing philosophy. For those eager to playfully circumvent the status quo – to subvert the dominant paradigm, as the saying goes – absurdism can be wielded as an ideology as well as a category of humor, both intended to confront the listener with a simple philosophical truth: That nothing has any meaning and everything can be deconstructed and reduced down to the point where its base elements appear to have no connection at all. Absurdism can be the source of a great deal of humor, of course, and I was personally the sort of adolescent that reveled in absurdist humor. I did appreciate a well-constructed joke, but I was, like many, drawn to the jokes that sought to reveal the weakness in language, in thought, in the whole of existence. Because of my adolescent glee in the deconstructionist elements of absurdism, however, I often failed to acknowledge that absurdism is also very much a philosophy of nihilism and despair. Absurdism, to grossly oversimplify Søren Kierkegaard, springs directly from existentialist despair. If nothing has meaning, then aren't we all just blindly stumbling through life, assigning meaning to things arbitrarily? Where does motivation exist in that? Where does God? Where does anything? If nothing matters, well, nothing matters. When applied to all life, absurdism can be a bitter pill to swallow, and it takes some digestion to come out on the other side (Camus has some words on said emergence; keep your scope small, make your rock “your thing,” and personal meaning rises). When applied to fiction and the arts, however, absurdism is perhaps one of the most powerful tools in the aesthetic toolbox. It's been said that every single work of art, every essay, every poem, and every film, can serve as a criticism of everything that came before it. When an artist or author creates, they often are doing so to rebut or confront (or perhaps validate) an existing notion, aesthetic, or artistic movement. All art builds on the art that came before it, and each artistic revolution is meant to destroy everything that came before. And through this constant cycle of building and destruction, one can find the freeing notion of absurdism underneath it all. No artistic structure is any more or less valid than the one it destroyed to form itself. And if none of them have meaning, then anything can be tried. Cinema is particularly conducive to an absurdist aesthetic philosophy. With its ability to create wholly realized imagery straight from the mind of its creator – presenting dreams, as it were – film presents an unadulterated view of artistic purity. And since no rules apply in a dream, an artist will be free to deconstruct whatever meaning, characters, structures, visuals, or aural conventions that preceded her. Nothing is more exciting for a critic than when they discover a film that has torn everything down, tries something new, is truly revolutionary. No artistic structure has meaning, so we may as well play. But there are two angles at work here: The above notion that deconstructs aesthetics, and cinema that uses absurdism as part of its internal conversation. And of course, when playing with absurdist philosophies as a talking point, one may find that the despair always begins to seep back up from beneath. One of the best absurdist filmmakers currently working, Yorgos Lanthimos, most certainly has a dour view of humanity, presenting common human behaviors as dark, meaningless gropes forward in a blackened, empty room. In “Dogtooth,” a stern patriarch is engaged in an intergenerational social experiment with his kids, highlighting that social norms are, truly, constructs. 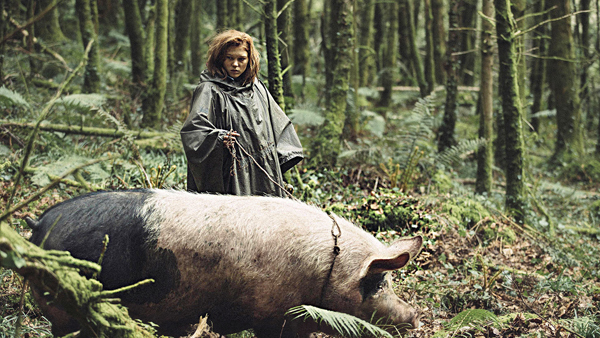 In what may be his best film, “The Lobster,” all of the tropes and conventions of everyday (read: banal) romance are little more than an oversimplified list of trite commonalities that boring people compare in order to suss out their compatibility. To Lanthimos, common social constructs are just that: Common. In his film “The Killing of a Sacred Deer,” a family is cursed to die of an undiagnosable ailment, inflicted by a vengeful young man. In the eyes of Lanthimos, however, the curse is born only of spite; there was no magical hex or virus practical means of making the ailment manifest. Sickness simply arises from the human condition. The Coen Bros. frequently set their films in a world where human beings suffer for no good reason. 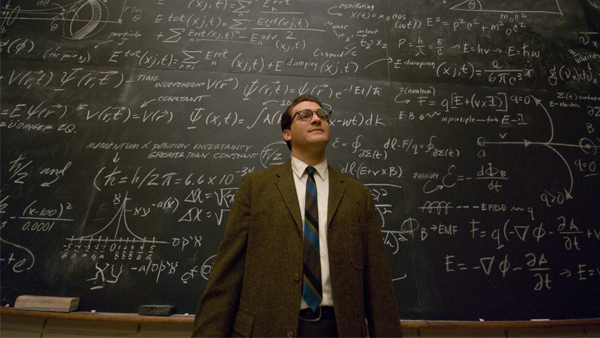 In “A Serious Man,” which may serve as their thesis film, the Coens introduce the action with the myth of the Dybbuk, a demon from Jewish lore, who arrives on your doorstep, disguised as a guest, to lay a curse on your house. In the Coens' version of the myth, the Dybbuk arrives seemingly at random, knocking at your door unexpectedly at any time. Whether you answer the door or not, the Dybbuk will inflict its curse on you. Fate, the Coens' argue, is cruel and random. Your best intentions have only the smallest of ripples, and the universe will punish you regardless. Absurdism lies at the heart of many action thrillers as well. How many brave/stoic action heroes can we conjure who are motivated by pain or nihilism? Lost wives and/or family members, and the need for blood vengeance are all born of a universe that has randomly treated the just unjustly, and it is up to the wounded to seek whatever sense of justice fulfills them. 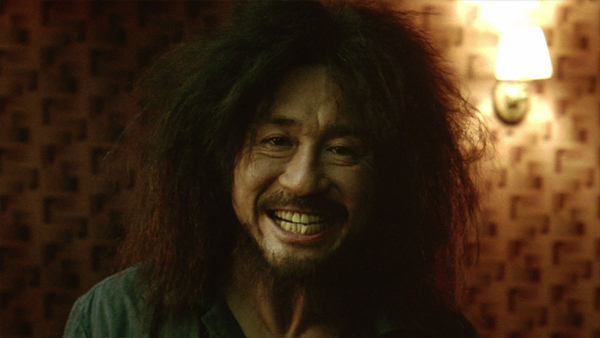 There may be no better example of this trope than in Park Chan Wook's 2003 masterpiece “Oldboy.” In it, the protagonist is randomly scooped up off the street – entirely without warning, and without having committed any known crime – and thrown into a motel-like prison for years. He is then just as randomly released with an instruction of having to seek why he was imprisoned. The eventual reveal has nothing to do with a sin committed by the protagonist, and everything to do with the fact that he lives in a world where cruelty is a crapshoot. 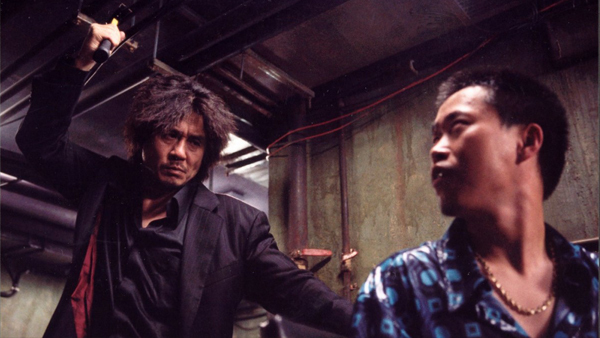 That “Oldboy” is exhilarating and operatic – it plays like a modern version of “Titus Andronicus” – is a testament to the theory that absurdism, for all its darkness, can be exciting and passionate. The late professor Robert Solomon often lectured on existentialism and bristled at the notion that it was a philosophy entirely of despair. Like Camus argued above, Solomon pointed out that a world of random chance and meaninglessness leaves the individual open to living passionately, to forging their own path. One need not build on a bedrock of existing notions or meaning in order to have an exciting life.